Salt Lake Dental Care specializes in family and cosmetic dentistry to provide that special, local dental care to our Salt Lake City area dental patients. Salt Lake Dental Care provides superior dentistry to the city of Murray UT. We also provide family dentistry services to our neighboring areas including Sandy Utah and Salt Lake City. Our most popular dentistry procedure is cosmetic dentistry, however we also perform dental implants. You can contact Salt Lake Dental Care about cosmetic dentistry or dental implants, or any other dentistry service by calling us at 801-938-8855. If you live in the 84107 zip code area, and are looking for a ‘home town dentist’ who provides local dentistry to the Sandy Utah area, click on any of the links on this page, give us a call at 801-938-8855, or stop by and visit. You can find us at 279 E 5900 S Ste 202 in Murray, Utah. I’m Dr. Clint Blackwood of Salt Lake Dental Care. My office is located at 279 E 5900 S Ste 202 in Murray UT. One of the best things about being a Sandy area dentist is interacting with my patients. During initial dental consultations, I listen carefully to my patient’s short and long term dental goals. 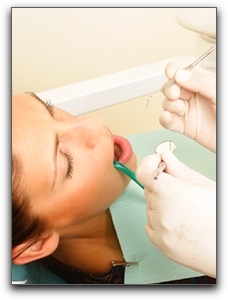 If a client is nervous about undergoing treatment, we discuss oral conscious dental sedation. Oral conscious sedation, sometimes called oral sedation dentistry, is a great option for anxious patients. Dental visits do not have to be painful! I never get tired of creating dramatic smile transformations for the best clients in the Sandy Utah area! If you have been considering a smile makeover, let’s talk about your smile. Call Salt Lake Dental Care at 801-938-8855 to schedule a cosmetic dentistry consultation. You would never consider running a red light on a busy street or crossing over a lane of orange construction cones on the freeway, but you might be doing some everyday things that are a real danger to your oral health. I’m Dr. Clint Blackwood, a family and cosmetic dentist serving the Salt Lake City and Sandy Utah area, and I want to share with you some common habits that could be detrimental to the health of your teeth. Crunching ice between your teeth might be refreshing on a clear day, but the soft tissue inside your teeth won’t appreciate it. Once this tissue gets irritated, you’re more likely to get toothaches and have increased sensitivity to hot or cold foods. Participating in your favorite sport without proper mouth protection is a risk that no one in Murray UT should take. If there is a chance that a mouth injury could occur (and there is with most sports) then get to the nearest Salt Lake City sporting goods store and purchase an inexpensive mouth guard or, better yet, ask me about a custom mouthguard. Now that you know how to avoid these risks, what can you do if you’ve already damaged your teeth from these activities or similar ones? Make an appointment with our high-quality staff and we’ll see how we can help. If you’ve had chipping or cracking problems, there are a variety of cosmetic dentistry procedures that might help you. If you have overly-sensitive teeth, I may be able to prescribe a prescription toothpaste to relieve the pain. 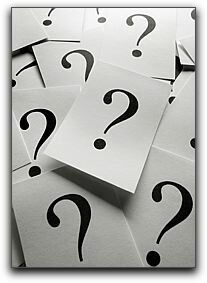 We can also answer any questions you have about veneers, gum contouring, or teeth whitening in Murray. We hope to hear from you soon, but in the meantime, keep those pearly whites safe and sound. Pain isn’t fun. Your Murray UT dentist knows this, and that is why the dental team at Salt Lake Dental Care have made patient comfort a top priority. In conjunction with creating a relaxing environment, your dentist has various medications that can reduce and even eliminate pain associated with different dental procedures to give you a more enjoyable experience. Some of the most common pain-relieving medications used in Salt Lake City area dentist offices and around the country are topical anesthetics. These are swabbed directly onto mouth tissue so they only numb the very surface layers. Topical anesthetics can reduce the pain of mouth sores, or they can be applied to prepare the mouth for an injection. Local anesthetics are injected into mouth tissue (usually the gums) to block the nerve sensations to specific areas of the mouth. Cosmetic dentists numb the mouth in this way before filling cavities, treating gum disease, or before certain cosmetic dentistry procedures. More involved dental procedures may necessitate the need for Laughing Gas or even general anesthesia. Ask us about sedation dentistry and oral conscious sedation. Because your Murray UT sedation dentist will most likely use a pain reliever during the dental visit or prescribe something for you to take after the treatment, make sure you jot down a complete list of medications you are taking, including herbal supplements, before each appointment. I’m Dr. Clint Blackwood and I want Salt Lake City area residents to be informed about their dental care, especially as it pertains to pain relief during dental treatment. If you are in the Murray area and are looking for quality dental care, please contact my office today at 801-938-8855. Our high-quality staff would be happy to talk to you about dental implants, cosmetic dentistry, dentures, and the other services we offer. Picture the following scenario: You are stretched out in a chair at your Murray UT dentist’s office holding a remote as you try to tune into your favorite local radio station. An assistant clips a paper bib around your neck. Someone switches on a bright overhead light and you see latex-gloved hands moving toward your open mouth. You close your eyes. If so, you may be a good candidate for sedation dentistry. Oral sedation benefits nervous dental patients in Murray UT every day. Moderate sedation is used for all types of Salt Lake City area dental procedures such as root canal therapy, dental implants, and wisdom teeth removal. If you are considering extensive restorative or cosmetic dental work, conscious sedation may allow your cosmetic dentist to complete multiple procedures in a single visit. Don’t let fear prevent you from getting the dental treatment you need. Schedule a visit with Dr. Clint Blackwood to learn about conscious sedation dentistry. 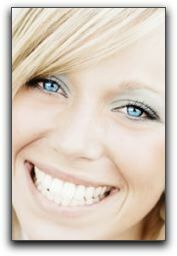 Give us a call at 801-938-8855 or find us on the Web at: https://www.saltlakedentalcare.com/. Embarrassed By Your Teeth In Murray? What is a beautiful smile worth? Salt Lake City area men and women who have received a smile makeover at Salt Lake Dental Care in Murray UT say it was worth every penny. Your smile is a part of you that you share with your family, friends, and Murray UT colleagues every day. An attractive smile creates confidence. If you are embarrassed by your smile, you waste mental and physical energy trying to hide it. Investing in a cosmetic smile redesign in Murray UT is the best way to feel younger, more attractive, and able to share your true self. 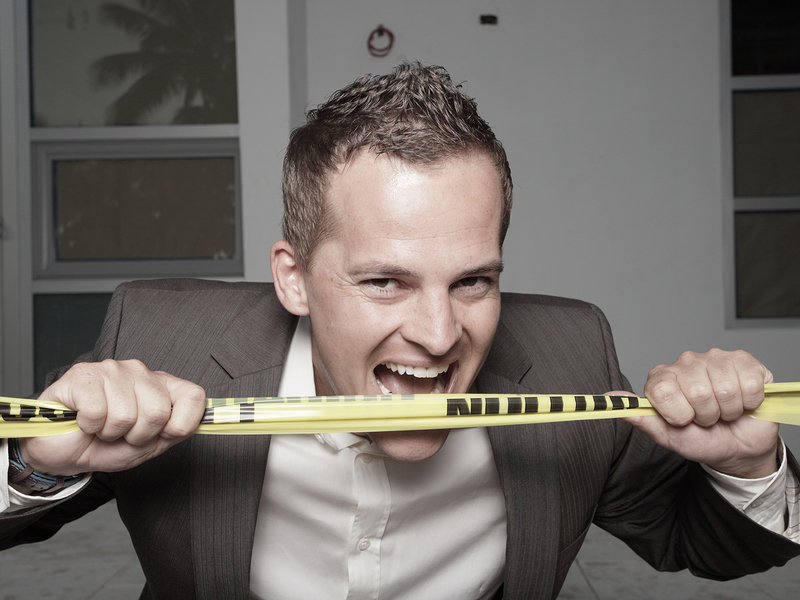 When you quit trying to hide your teeth, you are free to put all your energy into your work, play–everything! At Salt Lake Dental Care in Murray UT, Dr. Clint Blackwood carefully contours perfect smiles for our cosmetic dentistry patients. 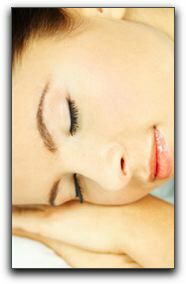 We also make sure our smile makeover clients are completely relaxed during treatment. If you are afraid of dentists, or have had negative experiences in the past, rest assured that we understand how you feel and our caring sedation dentist and dental team will do our best to alleviate your concerns. Come in for an aesthetic dental consultation in Murray UT. Learn about dental implants, porcelain crowns, clear braces, veneers and sedation dentistry. Life is better when you love your smile. Call Salt Lake Dental Care in Murray UT today! Dental visits can be extremely stressful and for some Sandy Utah residents, the fear and anxiety associated with a trip to the dentist prevents them from getting the care they need. At Salt Lake Dental Care, we provide the best oral sedation dentistry available. We will accommodate your needs with minimal, moderate, or deep sedation. Don’t let dental dread keep you from achieving a perfect smile. According to a national survey by the American Dental Association, Crest, and Oral B, the smile is the number one physical trait. Don’t let your smile go unnoticed. In addition to sedation dentistry, at Salt Lake Dental Care we offer our Sandy Utah area clients a variety of procedures, including dental implants, cosmetic dentistry, wisdom teeth removal, dentures, and general dentistry. At Salt Lake Dental Care, our professional staff will provide the best possible care for you and your family. Whether you need preventive care or cosmetic dentistry, the high-quality team at Salt Lake Dental Care will give you something to smile about! For more information on dental sedation or any other dental procedure, contact us at 801-938-8855. We are located at 279 E 5900 S Ste 202 Murray, Utah 84107. Call today! Wisdom teeth usually come in between ages 16 and 24 for people in the Salt Lake City community. While not always troublesome, it is important to learn as early as possible whether your wisdom teeth are coming in sideways, or otherwise impacting your other teeth. Checking your wisdom teeth in Salt Lake City is a simple and painless process, and can save you trouble down the road. Our practice, ‘Salt Lake Dental Care’, works with patients from ages 2 to 90, and our high-quality staff can help you determine whether your wisdom teeth will need to be extracted. We can also help you determine whether your wisdom teeth will require advanced care, or if a simple procedure can solve the problem. Wisdom teeth can be painful, and we don’t like pain at Salt Lake Dental Care. It’s our goal to give you the best care and attention when checking your wisdom teeth. If you are in the Salt Lake City area and need to have your wisdom teeth checked, please stop by our office at 279 E 5900 S Ste 202, Murray UT. We also service the greater Salt Lake City area and surrounding communities. 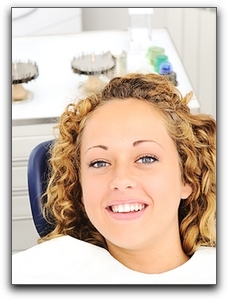 We specialize in general dentistry, and often perform cosmetic dentistry. We can take a look at your wisdom teeth and help you make a healthy decision for your future. If your wisdom teeth need to be pulled, we provide effective and stress-free wisdom teeth extraction. Location is always a factor when choosing a dentist. If you live in the Salt Lake City area, there are many options, and most locations are not too far out of the way. While location plays an important role in convenience, many people are willing to drive a little farther for a better experience with their Salt Lake City dentist. Relationship is a strong factor. 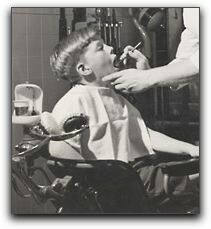 Your dentist should be approachable, and should make you feel comfortable when you are in the dentist chair. After all, your dentist will be working very close with you to help you achieve a high level of oral hygiene; you most certainly will want to have a good, professional, comfortable relationship with your Salt Lake City dentist and the dental office staff. Specialty is another important factor in choosing a dentist in Salt Lake City. Some dentists specialize in cosmetic dentistry. Others specialize in corrective dentistry such as braces. Depending on your need, you may select a local dentist who can solve your immediate concern. Bear in mind, however, that it is good to have a family dentistry professional who can maintain your dental history and work with you to through the years. If you are looking for a dentist in Salt Lake City, please come by and speak with me. I can address your interest in any of these critical areas, and will be happy to introduce you to Salt Lake Dental Care.